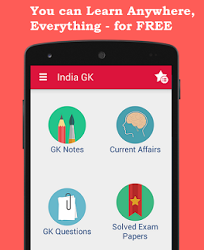 13, 14 December 2017 Current Affairs MCQs, Quiz, Questions: Current Affairs for December 2017, Daily Multiple Choice Questions (MCQs) for India GK, World GK and current affairs with Collection of daily objective type Question by www.Indiagk.net based on General Knowledge (GK) and General Science (GS) Questions for UPSC, State PSC, SSC, Police exam, Railway exam, SBI, Bank PO, IBPC, SSC, LDC, UDC, Army, Airforce, Navy, Coast Guard, Bank Clerk, TET and all entrance examination with current affairs News, Multiple Choice Questions (MCQs) available on Website www.IndiaGK.net and Android Apps with daily updates:. BCCI recenty Lifted Ban from which state Cricket Board? What is the India’s GDP growth forecast for 2018, according to United Nations ‘World Economic Situation and Prospects 2018’ report? Which country recently has handed over Hambantota port to China for a 99 year lease? Neeraj Vora, who passed away recently, was associated with which field? Who commissioned scorpene-class submarine INS Kalvari on 14th December 2017?